GFMA is thrilled to announce our new membership program to bring Just Food to more communities in Georgia! Just Food is a sliding scale model ensuring people of all income levels can access fresh, local produce. We need YOUR help to increase local food access! By becoming a sustainer member, your monthly contribution will help support the work of GFMA and local farmers, feed families, and improve local food systems in our state. Member support will expand Just Food and help us launch the program in full by June, 2019. Membership also contributes towards training food justice advocates and comes with great incentives such as event discounts, entry into our food justice book club, and Just Food swag. 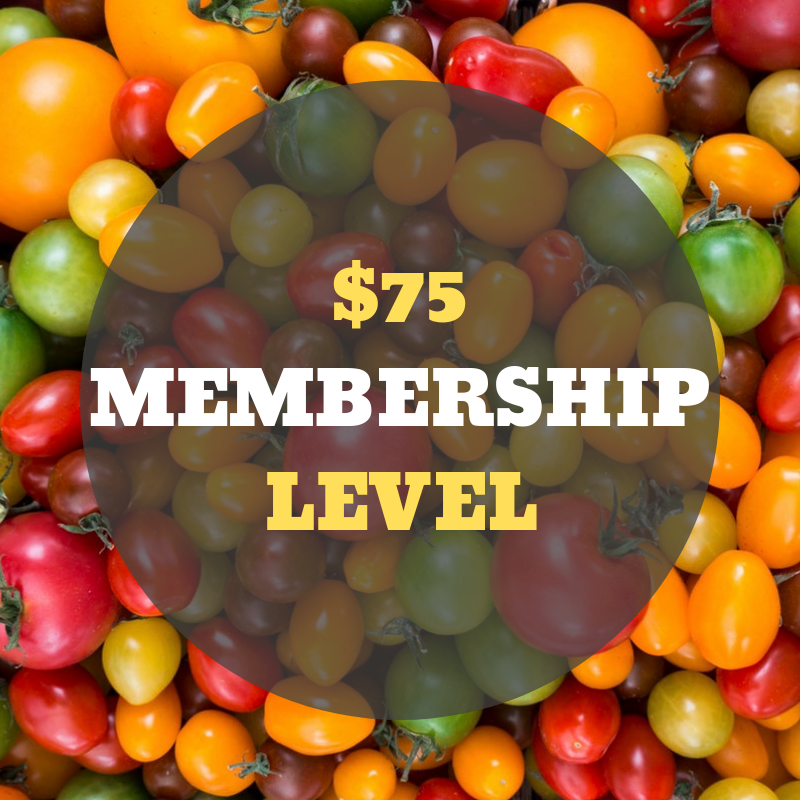 Take a look at the membership levels below, select your monthly contribution, and become a Food Justice Advocate today. Set your recurring payment up now - by selecting Join The Movement! If you’re interested in signing up with GFMA to become a general Farmer/Vendor, Market Manager or Community/Business Partner member, visit our Membership page.